We service most European, Asian and Domestic vehicles. 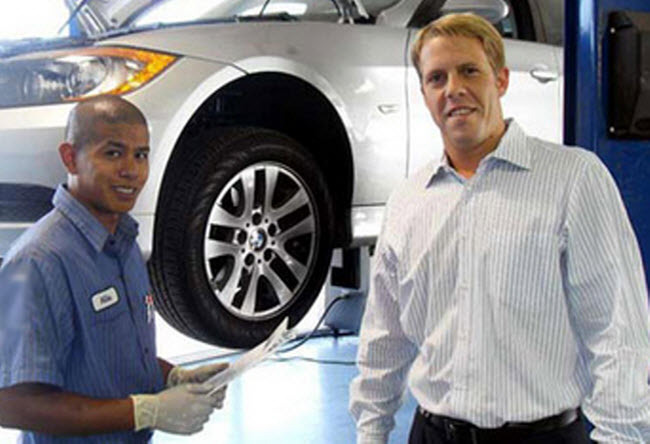 We offer full maintenance service, including alignment and tires. With over 50 years of experience in the automotive industry, we have highly certified technicians, along with a state of the art facility. Our prices are also highly competitive in the marketplace. "I am a long time customer and have always been.."
"I feel I am treated fairly"
"I am very happy with the shop's high standard in.."
"Hey have excellent customer service and I trust them." "Highly recommend! Great customer service and quality work." "they are honest and reliable"
"They are great and bend over backwards to make you happy"
"Fast reliable service. They understand customer's needs and make sure.."
"They are the best, you can trust them and you'll.."
"The have efficient staff and good quality services." "not happy right now. I still have parts in my.."
"Hi quality and personal service"
"Knowledge, Integrity, Service and Johnny Stiegler is a class act..."
"Outstanding customer service and attention to the customer is important.."